What kind of recipes are in this book? 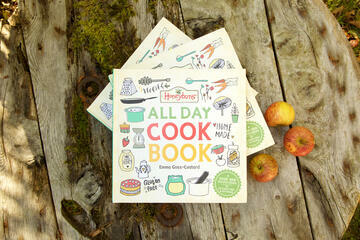 This gorgeous book is filled with over 100 deliciously decadent gluten free and vegetarian recipes. There are also dairy free, vegan and nut free recipes too. Unlike our first book which was for the sweet toothed, this new book features sweet and savoury recipes to take you from breakfast to supper. 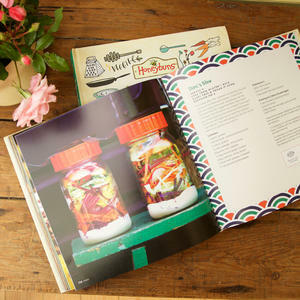 This book aims to make "free from" cooking as welcoming, inclusive and stress free as possible. When will this new book be available? We hope to get copies during the week commencing 12 November, and will despatch any pre-ordered copies then. Signed copies are available to buy in our online shop. You can also buy it from all good booksellers. 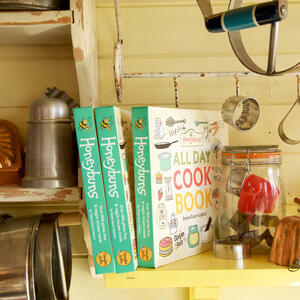 How do I stock this lovely book in my shop? We'd be delighted with this! 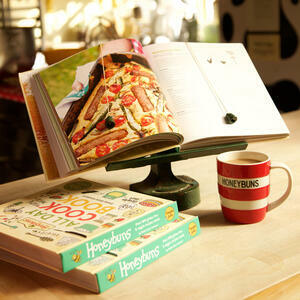 To stock either of our two cook books please contact us for more information. There is a 'Useful Information' chapter at the start of the book to help you make the most of the book. With useful store cupboard information, including what flours to use and how best to store them, dairy and dairy free alternatives, and our advise on sweeteners used in the book and how to interchange them. Information on useful kit and suppliers is also included. Can I substitute the oats in this recipe for something else? Yes, brown or wholegrain rice flakes would work. Which recipes are gluten free and vegetarian? All the recipes are gluten free and vegetarian. Are there any dairy free or vegan recipes? Yes, there are 69 dairy free and 35 vegan recipes. We also have useful information at the start of the book on how to substitute dairy ingredients to go dairy free. Do you have nut free recipes? We've included 84 nut free recipes. If you cannot find the answer to your question here, then please contact us. We will do our best to reply within 24 hours.